One of the biggest challenges that travelers and expatriates alike have is finding a destination that balances culture and comfort. Essentially, the perfect destination offers all the amenities of home, letting you feel comfortable and relaxed in the environment, but also gives you plenty of opportunities to dive into the local culture and explore something new. In Belize, you can truly have the best of both worlds. At the Grand Baymen, you'll love the resort-style amenities and the luxurious accommodation. Throughout Belize, you'll have countless opportunities to embrace the traditional culture, meet local residents and get a feel for the flair and excitement of this fantastic destination. One of the most appealing things about visiting or living in Belize is the fact that the official language in the country is English. This means that speaking to locals, mingling at social events, shopping and dining is a breeze and won't require extensive translation. While you're in Belize, you'll also hear other languages like Spanish, Kriol, Garifuna, Mopan Maya and even German spoken by local residents. Belize can be accurately described as a melting pot of culture, and the population is incredibly diverse. Not only are there native Mayans whose families have lived in the country for thousands of years, there are Europeans and Mestizos. On top of it all, you will find expatriates who have come from around the world to enjoy all the scenery and attractions that Belize has to offer. Because of this unique blend of cultures, the atmosphere is incredibly inclusive. Wherever you are from, local residents in Belize are likely to embrace you, welcome you and make you feel right at home. Whether you are in Belize for a week on vacation or you are planning to retire there, this inclusiveness is a definite benefit. 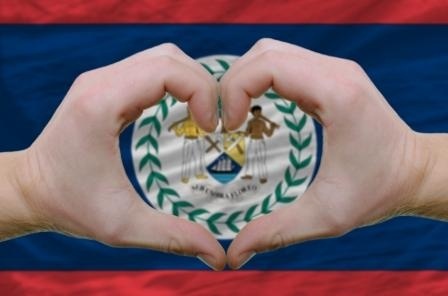 Belize is a country of caring individuals, and the residents join together in support of a number of causes to improve their country and the lives of the entire population. On International Coastal Cleanup Day, for example, people from all walks of life gathered together to pick up garbage in turtle nesting sites and in the Hol Chan Marine Reserve. This is just one example of the many positive causes that unite locals in Belize. Poverty, education and cultural diversity are other great causes that bring together the community, raise awareness and improve the quality of life for every single person living in Belize. Perhaps the best way to fit in with the friendly locals of Belize and make new friends is attending some of the great local events. From religious holidays to cultural celebrations and even food festivals, there are lots of great events to choose from. If you're serious about great fresh seafood, don't miss LobsterFest held annually in San Pedro, Ambergris Caye. Other great celebrations worth attending in Belize include the San Pedro Carnival, Belize Independence Day, the Battle of the Drums, the Chocolate Festival of Belize, the Deer Dance Day and the Garifuna Settlement Day. One of the best things about Belize is its friendly population. Through frequent community events, great causes that unite residents, English being the official language and the cultural diversity of the country, it is easy to meet and fit right in with Belize's friendly locals. Find out more about how you can visit or make you home in Belize.